Our countdown to our 25th Penn reunion continues as this past weekend, September 9-10, 2016, marked 87 weeks until the 25th Reunion of the Penn Class of 1993 (May 11 – 13, 2018). #93tothe25th Follow along with us: we are on Social Media! Follow us on Twitter, Tumblr, and Instagram. Classmates are invited to join our Facebook and LinkedIn groups. I was visiting family and friends back east a few weeks ago, and the day I visited campus happened to be a freshmen move-in day. There were new families wandering all over campus, and it was buzzing with activity. This video of Locus Walk from was taken in front of the Sweeten Alumni House. It’s busy as usual with new students and their families walking through campus. You can hear the Penn Band in the background (they’re playing in Perelman Quadrangle, behind Houston Hall). I wandered over to Houston Hall, following sounds of the Band, and listened to them playing. Can you guess the song? Later in the afternoon, new Penn families were gathered on College Green waiting to hear Penn’s President and Provost address them. While they were waiting, the Penn Glee club sang a medley of Penn songs. Do you remember moving to campus to start our freshman year twenty-seven years ago? 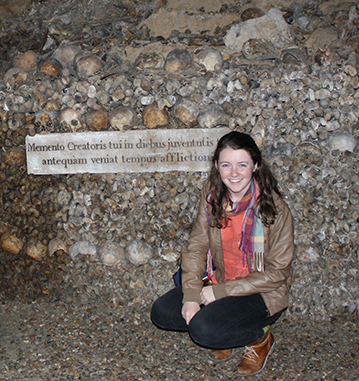 We are collecting photos for an upcoming post on our freshman dorm rooms and roommates. Please share your photos with us by emailing them to upenn1993@gmail.com. We hope to see you back on campus in 2018 for our 25th reunion! While attending Penn Dental, I would often buy lunch from Rami’s food truck on 40th Street, and enjoy my falafel on a bench lining Locust Walk in front of St. Mary’s Episcopal Church. It has been five years since I graduated dental school and coincidentally, I have returned to Locust Walk and St. Mary’s Episcopal Church. However, things have changed, Rami’s has been replaced with the Marrakesh Express, and I no longer stay on a bench outside, I actually go into the Church, and downstairs to an organization called Neighborhood Bike Works. I learned about this organization through my husband, who became involved with the non-profit after participating in an Adult Repair Co-op at Neighborhood Bike Works called Bike Church. The more we learned about Neighborhood Bike Works, the more we grew to admire this hidden gem on Penn’s campus. 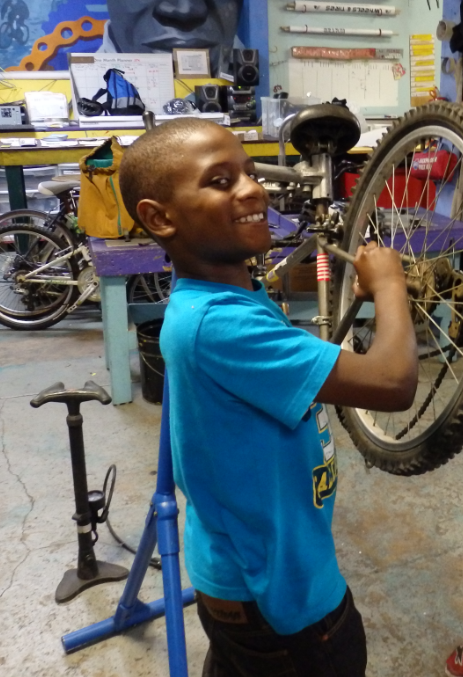 The mission of Neighborhood Bike Works is to increase opportunities for urban youth in underserved neighborhoods in greater Philadelphia through bicycling. 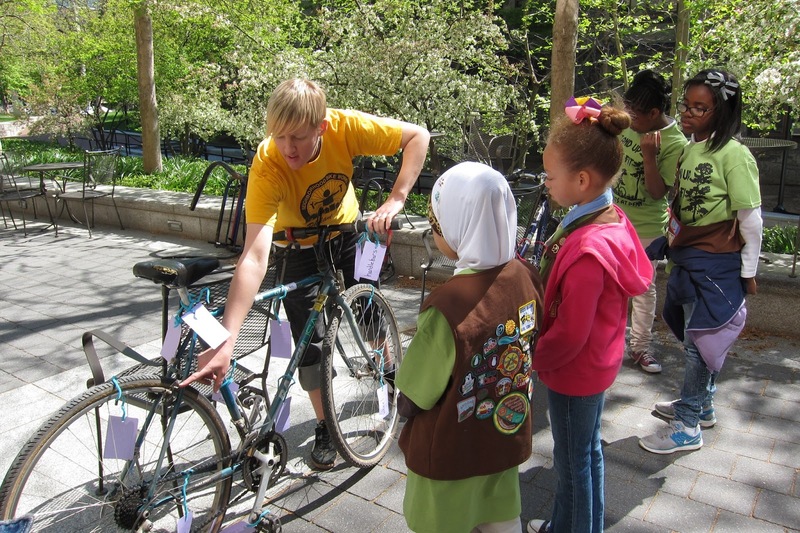 The flagship program of Neighborhood Bike Works is called Earn-A-Bike in which youth learn the basics of bike repair and maintenance, safe urban riding, and health and nutrition while refurbishing a donated bike. Students earn the very bikes they learn to repair by participating in the classes. Many of the graduates of the 15 session course continue to work in the shop and earn hours they can trade for more bikes, parts, and accessories, as well as participate in many other more advanced programs such as Race Team, Leadership and Advanced Mechanics Courses, and Ride Club. These programs are free to the participants, ages 8-18. Neighborhood Bike Works also has a lot to offer the general public as well; they have a shop in the basement of St. Mary’s Episcopal Church where you can stop in and purchase a used bicycle, or get parts, repairs, and maintenance for a bike you already own. They also offer adult repair classes and community outreach events. This past summer, my husband and I spent four days with Neighborhood Bike Works youth, volunteers, and staff on a four day bike ride called the Ride of Dreams. It is part fundraiser, part youth initiative and entirely a lot of fun. We started our journey at the Church on Penn’s campus and rode to Hershey and back for a total of 250 miles. It was a wonderful experience getting to know the youth and volunteers along the scenic Pennsylvania countryside.